Pepperdine University affirms the transformative power of an international education, and believes each journey deepens an individual’s understanding of what it means to live a life of service, purpose, and leadership in an increasingly interconnected world. Pepperdine travel experiences mark significant milestones in an individual’s intellectual, personal, professional, and spiritual development. In championing these endeavors, the University also takes seriously the responsibility to perform due diligence and carefully assess the risks and opportunities of each trip, applying resources to make Pepperdine-sponsored trips safe, meaningful experiences. As a policy, Pepperdine University uses U.S. State Department Travel Advisories as guidelines for permissibility of University travel, and travel alerts may affect itinerary approval for as long as the concern persists or until the alert expires. Please see the University’s International Travel Policy for further details on which destinations are pre-approved and which may require further review and approval. Additionally, all University international travelers, whether traveling abroad as part of a University international program, a Project Serve trip, or for other work related matters, must log their travel in the International SOS Travel Tracker through MyTrips. Pepperdine partners with International SOS, a leading medical and travel security assistance provider. International SOS works with the majority of the Fortune 100 and Fortune 500 companies and 200+ colleges and universities to provide assistance to travelers overseas. 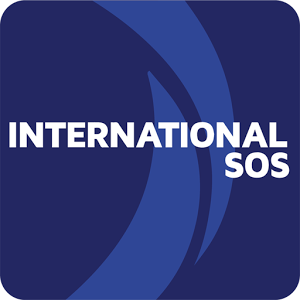 International SOS is ready to assist individuals on multiple fronts while traveling, whether they have questions, become seriously ill abroad, or need help due to a lost or stolen wallet. Support is available from any International SOS 24-hour assistance center via telephone or through the ISOS smart phone assistance app. Pepperdine’s International Travel Policy requires all international University travel, whether for work, for educational purposes, or organized by the University, to be logged in International SOS’s Travel Tracker. Individuals may log their travel through the International SOS MyTrips system. Instructions are available through WaveNet by clicking on the International SOS link found in the footer of the page. After completing registration for MyTrips, please download the International SOS Assistance App from your app store. Use your MyTrips credentials to login to the app to link the app with the information you have entered online. In an emergency, Pepperdine administrators may reach out to you to ask you to use the Mobile Check-In button within the app to log your current location. The Safe Passage video on WaveNet provides tips for avoiding undesirable circumstances overseas. While not all of the tips apply to every international trip, the video has helpful information for even the most seasoned traveler. Additionally, several pdf files are also available in WaveNet related to international travel which provide additional information and best practices.